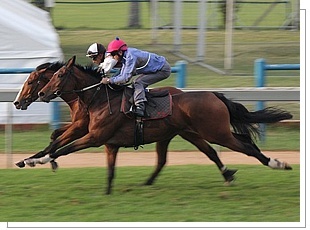 The Vodacom Durban July gallops at Greyville Racecourse in central Durban began in the early years when trainers were given the opportunity to put their big-race runners on the grass for a final workout before the big day and to enable visiting horses to familiarize themselves with the venue. Today it has become something of an institution for many punters and interested parties who come to catch the entrants being put through an early morning gallop before the big race in the hope of catching some early form. In the years before the establishment of the Summerveld Training Centre at Shongweni just outside Durban, local horses were stabled at various sites around Durban and in the KwaZulu-Natal Midlands. 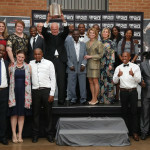 Some were trained at the private out-of-town venues in the province, others at Pietermaritzburg’s Scottsville track and many at Clairwood. Many more were stabled at Newmarket in the northern region of Durban and these horses were trained on the beaches at Blue Lagoon. 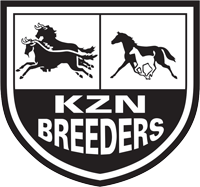 Visiting horses from Gauteng and the Western Cape were freighted into the area weeks before, many competing in the important races early in the season from which their trainers hoped they could emerge as candidates for invitation into the country’s biggest race. 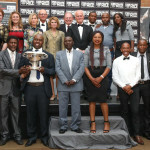 In the final week before the race the runners were invited to use the Greyville track for their final workout and the public was encouraged to attend the event with coffee and sticky buns available free of charge. And so was born the July gallops which became one of the biggest occasions in the build-up to the event with thousands of people crowding the course to watch their fancies in action and to make their final selections. It became a tradition, but when the Summerveld Training Centre was established and trainers had the superb grass training tracks on which to prepare their candidates, they became reluctant to take their horses to Greyville for their final workouts. 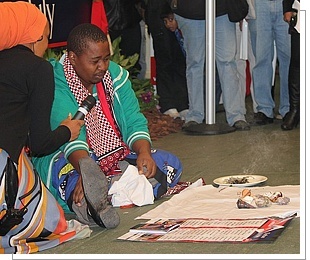 This situation was exacerbated as transportation methods improved and trainers from Gauteng began floating their runners overnight to Durban, arriving either the day before or even on the morning of the race. So the July gallops fell away and a part of the July tradition disappeared. However with constant pleas from the public, Gold Circle decided in 1999 to re-introduce the gallops. Only a few of the final field made an appearance with Geoff Woodruff’s star, El Picha, putting up a splendid gallop before going on to win the country’s greatest racing event some 10 days later. 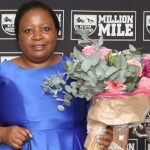 Gold Circle then went one step further and made appearance at a timed, televised, public gallop a condition of acceptance into the race and the Vodacom Durban July Gallops was officially reborn. 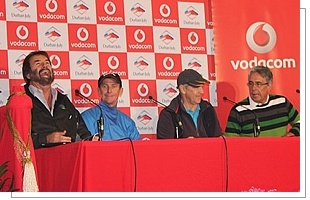 The Vodacom Durban July gallops take place at Greyville Racecourse usually on a Thursday, 10 days before the big event. This year, the gallops will be held on Thursday 28 June at 7am. A traditional and very popular feature of the Vodacom Durban July build-up, the public are invited to enjoy the proceedings and the free coffee and sticky buns on offer at Greyville.